For those infected with the panic, the monsters typically pounce with mammoth feet as high-pitched, almost-joyful squeals emanate from their frightful noses. Scarier still, these creatures tend to travel in tight clusters, often arriving in the same manner. Based on responses to a recent story on the TODAY.com about a 95-year-old clown named "Creeky,” many people harbor the heebie-jeebies for men and women who traipse around in greasepaint, frilly orange wigs and gigantic bowties. Among the 83 people who commented on the Facebook post about the story, 20 used the word “creepy” and many others admitted to being spooked by clowns, posting confessions such as "clowns freak the hell out of me" and "I hate clowns, ever since I watched 'It' [the movie based on the Stephen King novel]." “They just look evil to me!” says Sue Molitor, of Valley Park, Missouri, one of people who commented negatively about clowns. “I honestly do not remember when I began to dislike clowns," she added in an email interview. "I've never encountered one where I turned around and left because I never put myself close enough to one." Molitor says if she had her way, Ronald McDonald would be out of a job. By definition, an irrational fear of clowns is known as coulrophobia, with the prefix "coulro" coming from the ancient Greek word for "one who goes on stilts." Symptoms of coulrophobia can include sweating, nausea, feelings of dread, fast heartbeat, crying or screaming, and anger at being placed in a situation where a clown is present. According to Rami Nader, a psychologist and director of the North Shore Stress and Anxiety Clinic in North Vancouver, B.C., the psychological roots of the phobia may be traced to the fact that clowns are basically wearing disguises (albeit funny ones) while displaying artificial emotions (even silly ones) that perhaps hide their true feelings. Nader says he only rarely sees people with the disorder, however, coulrophobia is common enough to warrant at least one study, conducted by the University of Sheffield in England in 2008. Researchers asked more than 250 children (ages four to 16) what they thought of the idea of using clown imagery to decorate a hospital children's ward. According to Dr. Penny Curtis, who helped conduct the study, "We found that clowns [were] universally disliked by children. Some found them quite frightening and unknowable." How do you treat a clown phobia? “What we need to do is gradually come into contact with that thing – whether it’s spiders or heights, whatever you’re afraid of – and learn to cope with the anxiety, learn to recognize that what you’re afraid of won’t actually harm you," he says. "You won’t lose control, you won’t panic, you won’t embarrass yourself with other people." 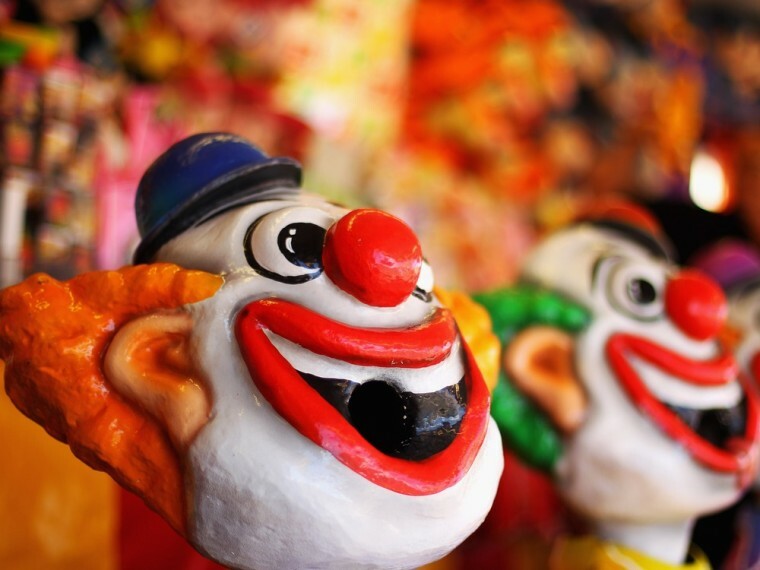 Judy Chessa, LMSW and coordinator at the Anxiety & Phobia Treatment Center in New York’s White Plains Hospital, says she can’t recall ever treating any person with coulrophobia. “But I wonder if that’s because this isn’t a phobia as much as a fear,” she says. “You can put the suffix ‘phobia’ after pretty much anything and define it as a phobia. Do you have any phobias? Tell us on Facebook. ﻿Video: Virtual reality to cure phobias?